By the middle of last year I went on a mission to be as paper free as possible. After feeling comfortable and seeing benefits in what I was doing I started to look at how we did things in the department and began discussions with my Team Leader about how we could possibly do things more efficiently – I could see collaborative docs and shared folders in the distance. I couldn’t help myself really. Coming from a corporate background I couldn’t understand doing things ‘just because’ or doing things in a round about way. No ones got time for that. But I understood that this ‘google stuff’ was very foreign and kinda scary. We started by using collaborative google sheets for administration, this shift was very uncomfortable for both of my colleagues. I have to give gratitude to them both for how were open they were to experiment with new ideas, especially coming from the rookie 30 years their junior! Together we sat walking through the processes before left them on their own. As their confidence grew so did their appreciation of how simple and easy it was to use – I don’t think they would go back to the old way. Excel will never be touched again. The start of 2015 heralded in our use of GAFE across the school. This process started at the end of last year and was fully introduced at our Teacher only days last week. Rather than the normal PD sessions I was part of on placement, Stephen introduced the idea of an unconference for those that were not familiar and began to share our queries and questions via a Padlet. I saw that familiar look of uncomfortable tension rise in my department colleagues. I gently reminded them how it felt when we had started to use Google sheets the year before and how much they liked how easy they are to use. A nervous smile appeared. Using a google doc teachers comfortable with certain areas or apps started to place their names, digitally putting their hands up to run sessions. I slotted my name in to run a couple and was delighted when a new beginning teacher also placed his name to ran a session. We moved to different parts of the school and people began to run their sessions. It ended up to be 4 groups with experience in each quite varied. As time went on people were meant to move on but what happened instead was some of the most amazing shared PD through organic discussion. I ran a session on Calendar and how to book resources then we all began to play with things and drift in and out of conversation as people brought up different queries across all the apps. A lot of the times someone knew but if not as a collective we would hunt out the answer together – yes the knowledge was in the room. I sat with teachers I don’t usually get the chance to talk to and started to make connections with people that I could go to next time I had a query, not always bombarding the same ‘IT’ savvy teacher that gets inundated with anything slightly tech related. There was no stress, just play and tinkering. 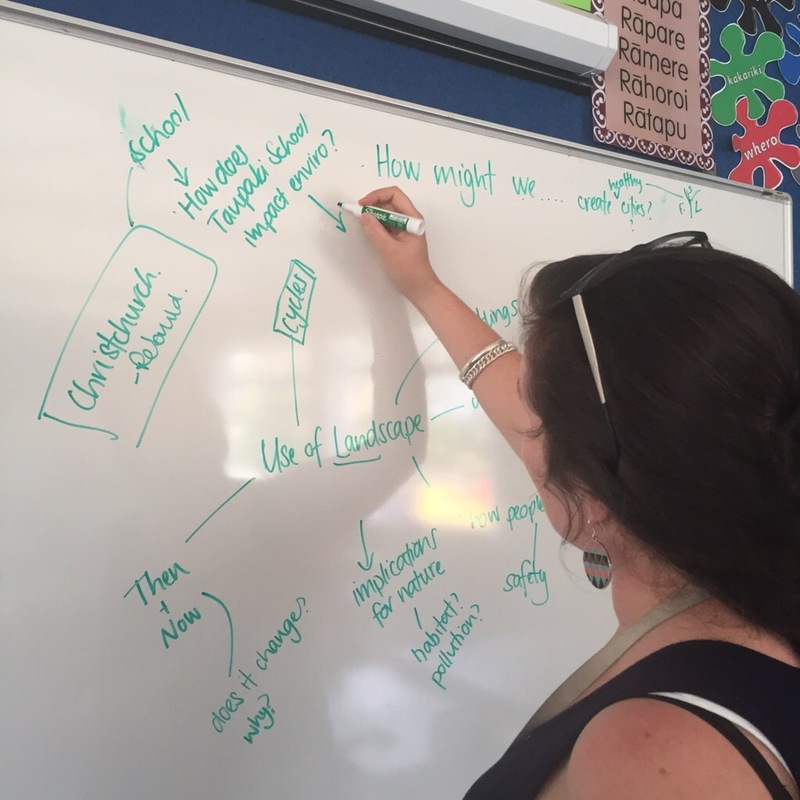 So while the unconference didn’t go quite a planned what did happen was organic and for me I think this had stronger potential for sharing moving forward. As the week has gone on I have found myself in several great conversations. These aren’t planned meetings, just visiting other teachers and chatting which has turned into great peer planning sessions – which has then turned into collaborative google docs. So I’ve been pondering on my drive home about the power of organic conversation. Its like tinkering through talk and dialogue, adding and subtracting from this thing you are shaping collaboratively. Really its an outward manifestation of growth mindset.